Moving your ministry intentionally towards the future you envision. We can help you get more done in less time, so you can lead beyond "this Sunday." Help you implement effective ministry systems that save you time. Include ready-made tools and step-by-step processes so you don’t have to reinvent the wheel. Enable you to focus more time on true ministry work and not get mired in urgent, but less important tasks. Shape your ministry systems and processes in a way that are teachable and repeatable. Prepare your leaders for more responsibility. You’re facing a big decision in life/ministry. You ready to set and tackle some big goals. Your coach will help you get clarity, determine what's most important, and help you set a plan of attack. Ever longed for that voice of experience talking you through the ups and downs of worship ministry? We can walk with you and be that voice of “been there and done that." A worship ministry mentor lets you “borrow” their experience, so you can move further faster. FACT: An Unhealthy Team Steals Your Time. 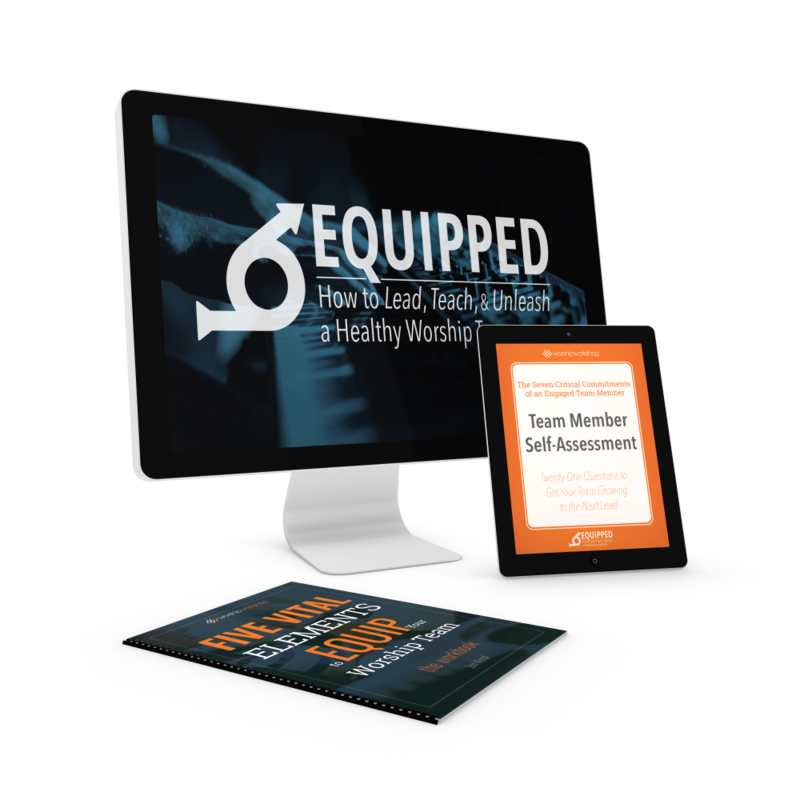 To help you intentionally level-up your worship team, we’ve created a three-part, ministry-jumpstart workshop called Equipped: How To Lead, Teach, & Unleash a Healthy Worship Team. And build a healthy team culture. ... where your team is at, and where they need to go. ...to build a team of leaders, mentors, and role models, step-by-step. ...with a practical guidebook and insightful assessments. ...with accelerated training—complete the workshop in less than ninety minutes. This premium-level video workshop is a jumpstart to build your ministry. You can get full access to it for only $7! Purchase The Workshop Today. Only $7. Click the button to purchase the full workshop with a one-time only payment of $7.